Every practice of Kundalini Yoga always begins by chanting the Adi Mantra ‘Ong Namo Guru Dev Namo’ three times, regardless whether you practice by yourself or in a class with a teacher. Since it’s such an essential part of our practice it’s nice to take a deeper look into its meaning and effect. To start, here is a very practical description given by Yogi Bhajan, master of Kundalini Yoga: It’s a telephone number of Shakti (the creative power of the Infinite), with its own area code number and it is a direct line. The Adi Mantra is your direct access to Infinite and Universal wisdom. Not a wisdom you learn from a book, not a personal wisdom or a time bound wisdom, it connects you to that which is true beyond time. It’s not that this mantra helps you to find this wisdom somewhere outside of yourself, what it does is that it opens the space within you to allow this wisdom to unfold, so you can rediscover what you already know. Through chanting this mantra you kindly request your ego to step aside, it brings in humility and a willingness to learn from the Divine teacher, the Guru Dev. Guru Dev is not a person, it is the Divine Wisdom inherent in each and every one of us. In all of us there is a divine teacher that speaks to us, some people refer to this as the Higher Self. The word Guru can be translated into ‘that which transforms ignorance into knowing, from darkness to the light’. It’s a knowingness that sets you free from the suffering caused by ego-identification. Dev means divine or angelic. We all have this Guru Dev within us and it’s important to open ourselves to this inspirational guidance from within. 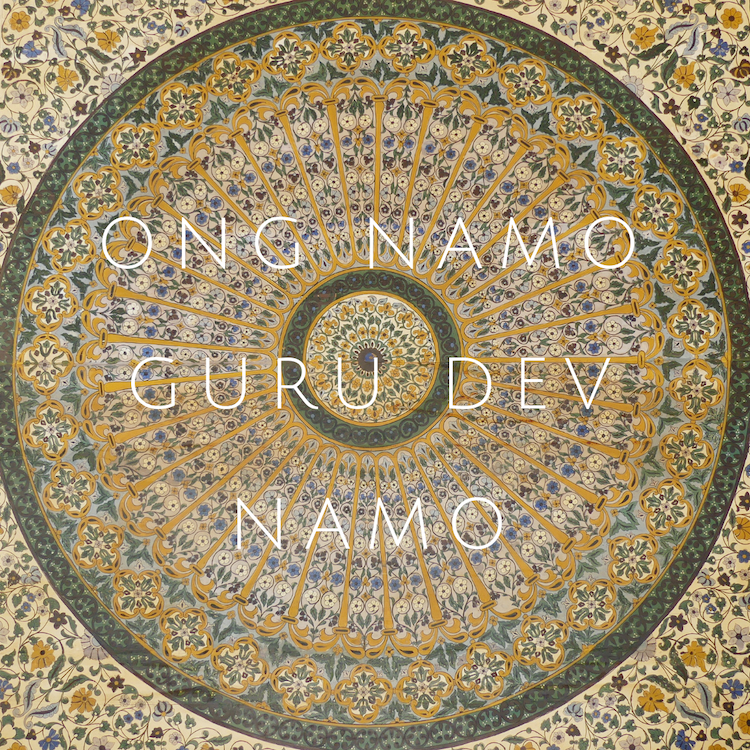 Each and every time we practice we call upon this wisdom to reveal itself, we honor it by chanting the words ‘Ong Namo’, I bow to this creative and infinite power, ‘Guru Dev Namo’ I bow to the Divine teacher within me. Also this mantra connects you to the matrix of teachers and students, called the ‘Golden Chain’ like you are plugging in to an infinite field of potential that supports and holds you while you practice or teach, in this sense you could say that the mantra ‘Ong Namo Guru Dev Namo’ opens the Sacred Space where you are never alone. Besides this mantra is really a reminder that you are not doing this practice to polish or perfect your ego, your finite identity, you are giving it a clear instruction you are dedicating your practice to honor your Divinity, your infinite true nature. To put it short you are instructing the ego that you are now dedicating time to something sacred and not just a mondain activity, you are setting the tone and the energy for proper practice. You could compare it to changing to another channel on your radio to receive another frequency through the element of ether. While you chant take this sacredness into consideration it keeps your practice inspired and alive. Another way to help you feel this connection is to truly listen to yourself chanting the mantra, listen with your two ears, feel the vibration resonating in your heart, throat and head. If you are practicing with a group feel and hear how your voice becomes one with the rest, becoming like one voice opening the Sacred Space together, it’s beautiful! Connecting to the Infinite may feel somewhat abstract or undefinable, because it is so hard to put into word what cannot be described through the limitation of language. That been said there is a beautiful way to help you unfold this Infinite Wisdom from within through the Power of Sound besides the chanting of the Adi Mantra. The lyrical poem Japji shared by the enlightened Master Guru Nanak who walked the face of the earth over 500 years ago, explains the working of the Divine in the sacred language of Gurmukhi. The words in this poem are like sound keys that unlock the Divine Wisdom within you, they awaken the Guru Dev inside your heart. If you would like to make a deep spiritual experience with these sacred teachings we invite you to join us on a Transcendental Inner Journey with the 40 day Online Guided Sadhana ‘Going Beyond’. During this 40 day Sadhana [daily spiritual practice] you will receive specific guidance every day to help you dive deeper into your essence and gain a deeper understanding of who you truly are, using the words of Japji as our teacher, your Guru Dev. In this 40 day Sadhana we are going on a transcendental journey with a daily practice of an ancient sequence of meditative exercises (30 minutes) in combination with the exploration of an century old poem called ‘Japji’. This poem, written by Guru Nanak, an enlightened master living in the 15th century, explains us the working of the Universe and the Divine in 40 steps (pauris). Every day these pearls of wisdom will point you towards the truth of of who you are and will transcend your perception of reality step by step, making it a deep spiritual experience.